Kesha is no stranger to whitewater paddling; in fact, she has 31 years of experience. Her home river is the challenging Green River, where she took first place in the women's divison of the 2000 Green Narrows Race. 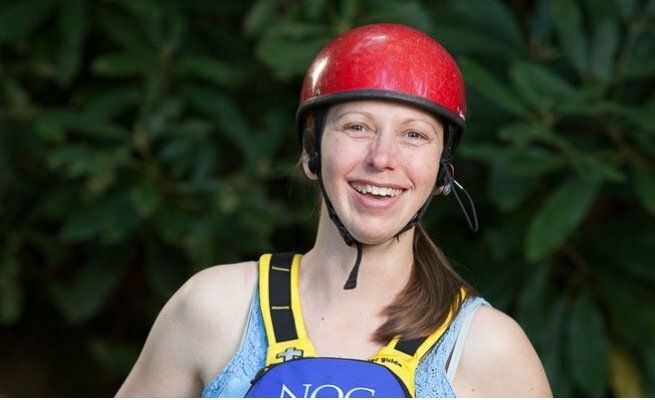 Kesha puts her experience to good use as one of NOC's Paddling School instructors. She describes her job as “inspiring people to love whitewater.” Even when she isn't working, Kesha can be found kayaking. Not only is she a leader on the water, Kesha is also an active member of the nursing community. With a B.S. in Nursing and Biology, a pending RN License, Rescue 3 International Certification and Wilderness First Aid, there isn't much that Kesha can't handle.